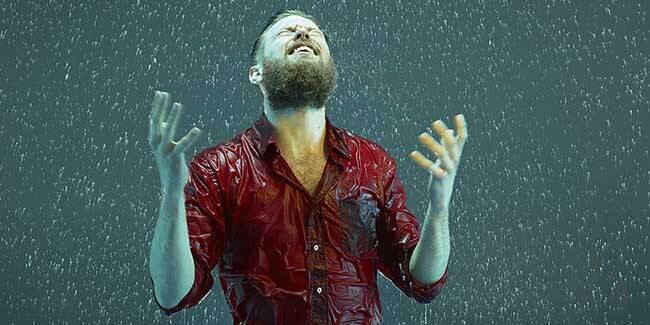 Humidity and rain can make your beard unmanageable. It also increases the risk of skin problems. Keep your beard moisturised and clean during monsoon. Follow these steps to keep your beards in shape. Keeping a bread is a cool thing now. A lot of men are passionately growing beards and everyone would agree that most of them look more attractive with their beard. But keeping a beard is not an easy thing, it takes a lot of care and grooming to grow and maintain beard and things get even more difficult during monsoon. The extra moisture from the air makes your beard unmanageable and your skin underneath the beard prone to skin infection. So how do you take good care of your beard during monsoons? Here are simple beard care tips during monsoon that can help you keep the awesome look on without any problem. Monsoon increases the risk of rashes and infections, making it even more important to keep your beard clean and hygienic all the time. Wash your face and your beard at least once with a gentle face wash and beard wash respectively. Also apply conditioner on your beard after every wash. If you have a really long beard you have to make it a habit. It will help your beard stay clean, as well as hydrated. However, it is important to use gentle face wash and beard wash. Anything which is harsh on your skin or on your beard can do more harm than good. If you have got beard care products at home, you can pat your back for it was a smart move. But if you have grown a long beard and still don’t use beard care products, you must consider trying them sooner. Use beard care products from a reliable brand and use them every day to keep your beard in good shape. The size and shape of your beard is all that matters, at least when we talk about looks. It becomes bit more difficult to manage the shape of the beard in monsoon with all the moisture and sweat. But like always, the key to maintaining the perfect shape of the beard is to trim it regularly. Trim your beard at least once a week to maintain the perfect shape. It will also help you grow it longer, if that’s what you are aiming for. If you don’t trim it for long, you may end up getting annoyed of your beard and may even someday shave it off. Remember how important it is to keep your skin moisturised, especially during monsoon? Same is the case with beards. You need to keep your beard moisturised all the time to avoid falling prey to the humid and airborne moisture.